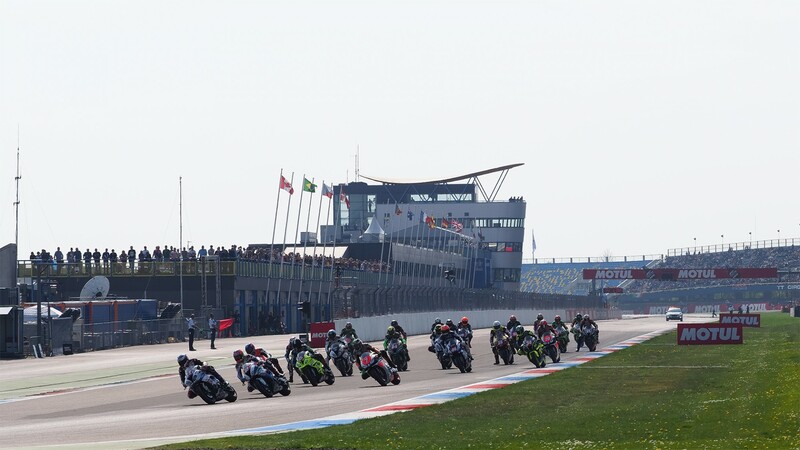 Markus Reiterberger (alpha Racing-Van Zon-BMW) grabbed his third consecutive European Superstock 1000 Championship win, second this season, with a dominant display at TT Circuit Assen. The German, starting from pole, controlled the race right from the start and gave his rivals no option, completing a fabulous weekend in which he was the fastest in practice, qualifying, and had the best in-race lap. Behind him, Roberto Tamburini (Berclaz Racing Team SA), whilst unable to match Reiterberger’s impressive pace, scored another second-place finish and remains just 10 points off the championship lead. 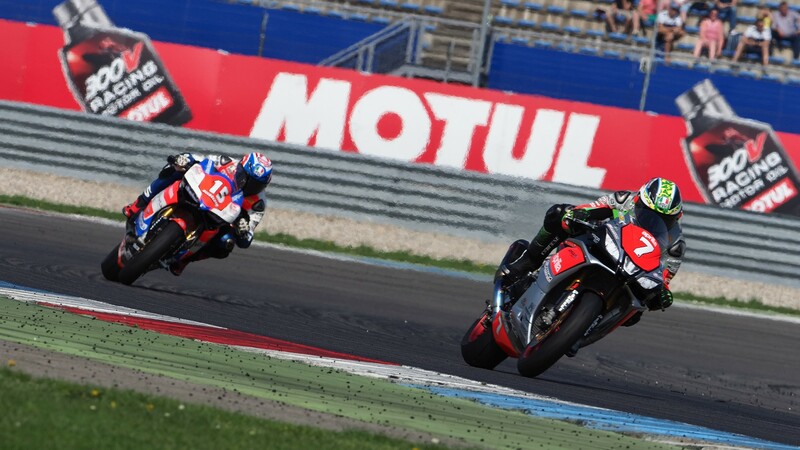 Maximilian Scheib (Aprilia Racing Team), who rivalled Reiterberger at MotorLand Aragon before an untimely mechanical error at the end kicked him off the podium, returned to the top in third. 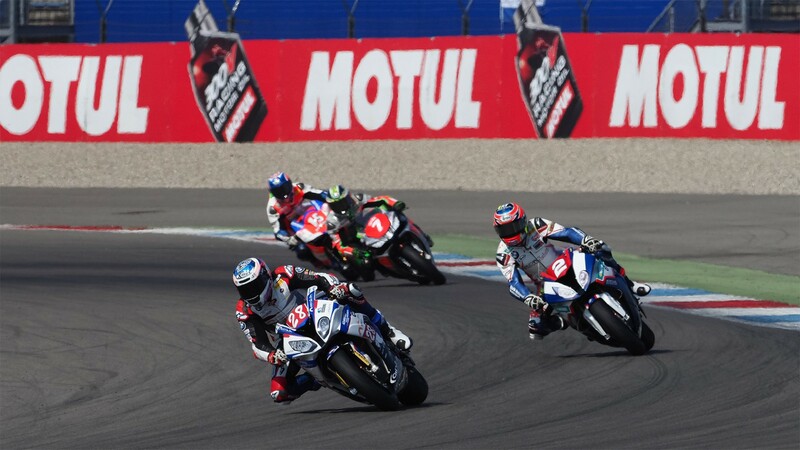 Fourth, just behind him, was Federico Sandi (MOTOCORSA Racing), tying both men in the standings. Last year’s poleman Florian Marino (URBIS Yamaha Motoxracing STK Team) came in fifth, again unable to find enough pace in his Yamaha to get close to the top. The battle for sixth was thrilling, with five riders interchanging places all race, never more than a few tenths between them. In the end it was Luca Vitali (Aprilia Racing Team) in front of fellow Italians Gabriele Ruiu (Team Pedercini Racing), Alessandro Delbianco (GULF ALTHEA BMW Racing Team) and Riccardo Russo (C.M. Racing A.S.D.). Jan Buhn (alpha Racing-Van Zon-BMW) closed that frenetic group in tenth, while Danny de Boer (Yamaha Team MGM), fourth here last year, retired from the race. 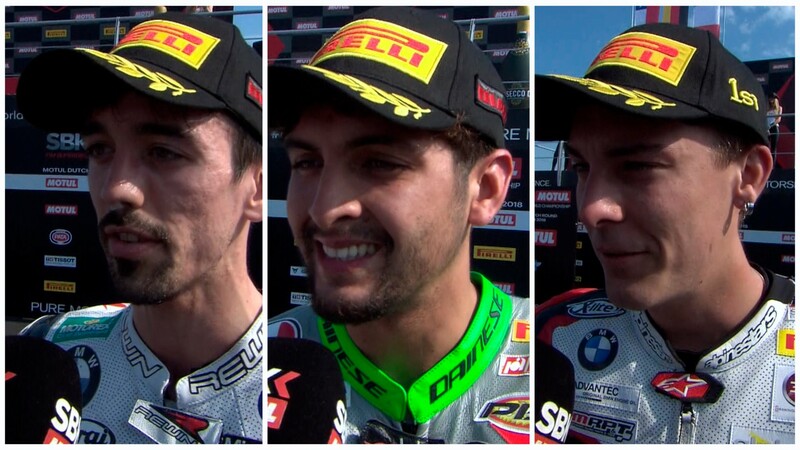 Catch Reiterberger’s reactions to today’s win, and all the build-up to Race 3 at Imola from May 11-13, thanks to the WorldSBK VideoPass.